What are the Trim Levels of the BMW 2 Series? 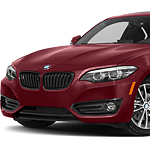 BMW offers many models of vehicles, with the BMW 2 Series being one of the most complete. Driving around in Seattle in any of the BMW 2 Series trim levels turns heads. The BMW X3 packs a lot of luxury into a compact SAV, or sport activity vehicle. This vehicle lets you do anything and go anywhere. It looks great. It can haul plenty of gear and climb steep inclines. 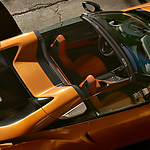 It's also engineered to be as powerful and sporty as you expect any BMW to be. 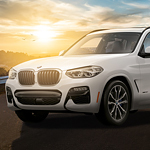 The BMW X5 is a luxury mid-size sports activity vehicle that we think you are going to want to see. This vehicle has a slew of exceptional features that make it something special. Let's start with the interior of the car. Since you probably spend a good portion of your day in the car, it should be a place of comfort and serenity. The BMW X5 offers amazing features such as a heated steering wheel, heated and cooled cup holders, and a Harmon/Kardon surround sound system. When you take your BMW out in Seattle or on adventures beyond the city limits, you never know what you'll run into. At BMW Seattle, we're pleased to offer complimentary Road Hazard Tire Coverage on many of our tires. This coverage can protect you for your first year of ownership so that you can have peace of mind while enjoying your new ride. 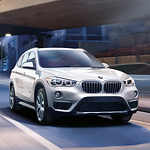 What is the Difference in Trim Levels for the BMW X1? The BMW X1 is a subcompact crossover SUV that seats five while carrying ample cargo. There are two trim levels of the X1: sDrive28i and xDrive28i. The size of the vehicle is the same in both cases as is the interior dimensions and the engine. Other than that, there are a few significant differences that make the car appeal to different tastes. 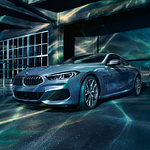 One of the newest luxury coupes on the road today is the BMW 8 Series. Its incredible features have drawn in thousands of car buyers to make the switch to BMW. 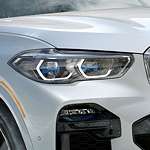 That is why we here at BMW Seattle are so excited about the all new 2019 models! It is important that you care for the vehicle that you own, love, and depend on by choosing the best services possible for it. You can get the help that you need through the services of BMW Service & Maintenance. The 2019 BMW 7 Series is one of the top super luxury cars. The latest cars from BMW express their power, fine-tuned and customized. Drivers can now start off with a base power that's better than most in the class. US News & World Report rated it top in performance, interior, and safety. At the base, you'll get an extremely beautiful V6 engine that puts out 320 horsepower. This is higher than most other vehicles in this class. The extravagant options include a moon roof, upgraded infotainment features, and V8 engines that can put out over 600 horsepower. With characteristic innovation and design, BMW's entries into the electric vehicle class are two popular luxury options, each with their own particular aesthetic. The i3 features solid construction and conservative styling, while the i8 offers drivers the sporty appearance and road handling they expect from a high-performance car. BMW 4 Series owners in Seattle enjoy driving their luxury sedans that are available in convertible, four-door or luxury coupe options. One look at the 4 Series exterior and there is no mistaking that the body style typifies luxury. The distinct but subtle curves and lines are elegant yet sporty in order to appeal to a broader demographic.